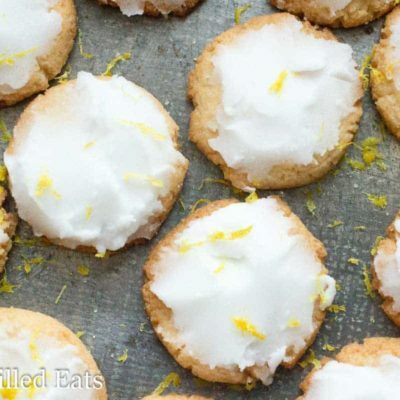 Iced Lemon Cookies. 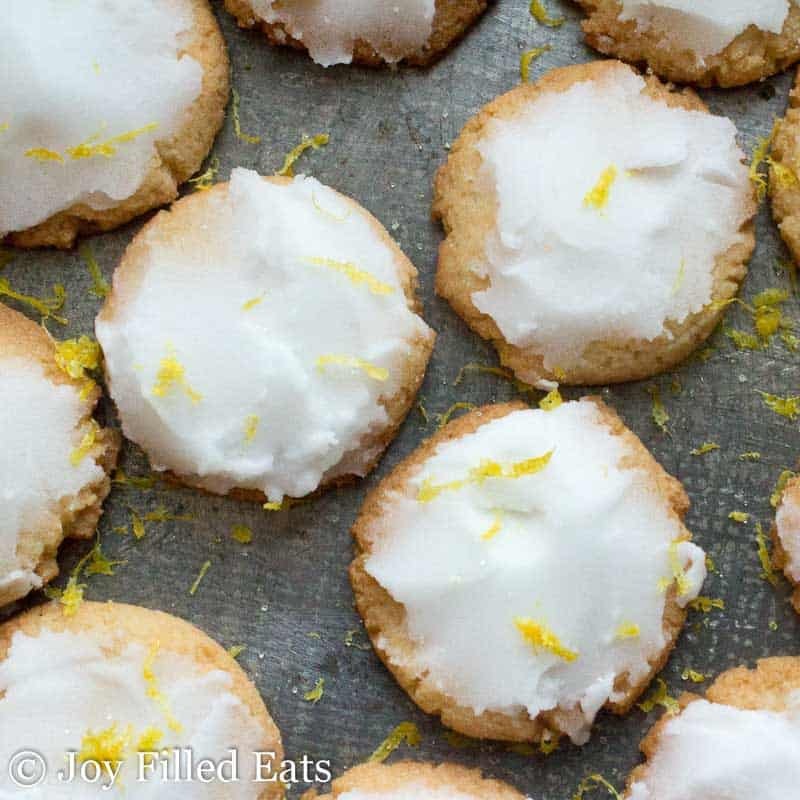 Crisp and buttery lemon scented cookies topped with a sweet and tart icing. 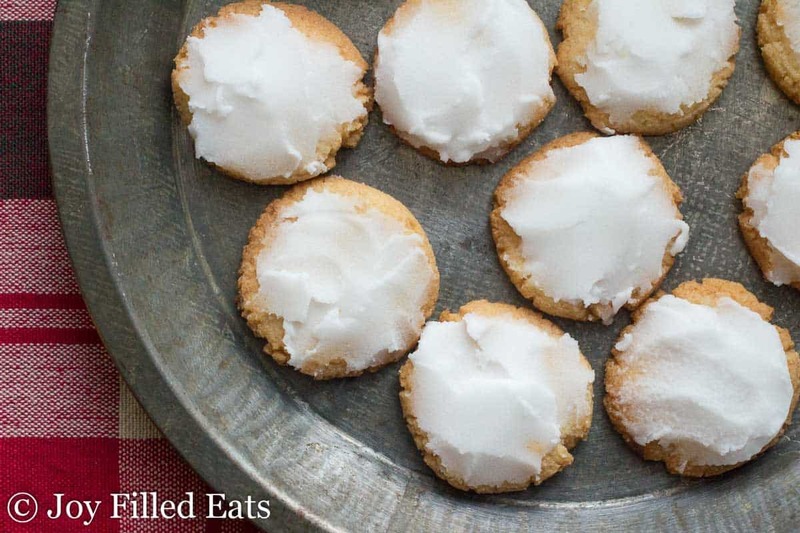 These go great with a cup of earl grey tea and a good book. I don’t think I’ve ever met a cookie I didn’t like. Depending on my mood I like chocolate, nut, mint, fruit, and citrus cookie flavors. 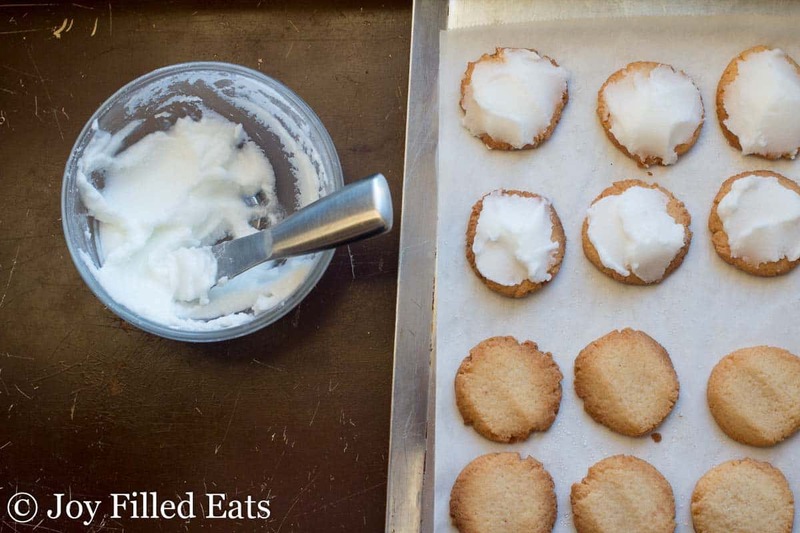 I’m on a holiday baking journey to bring you a dozen new cookie recipes before Christmas. 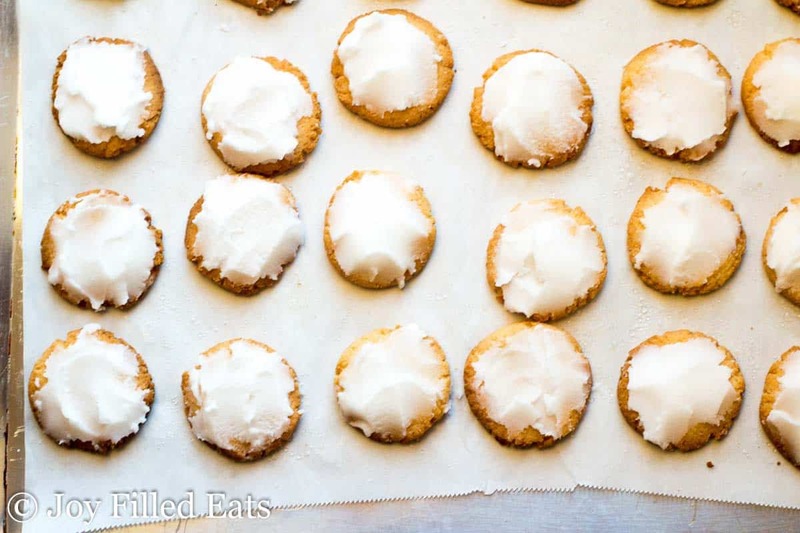 These Iced Lemon Cookies are number two. 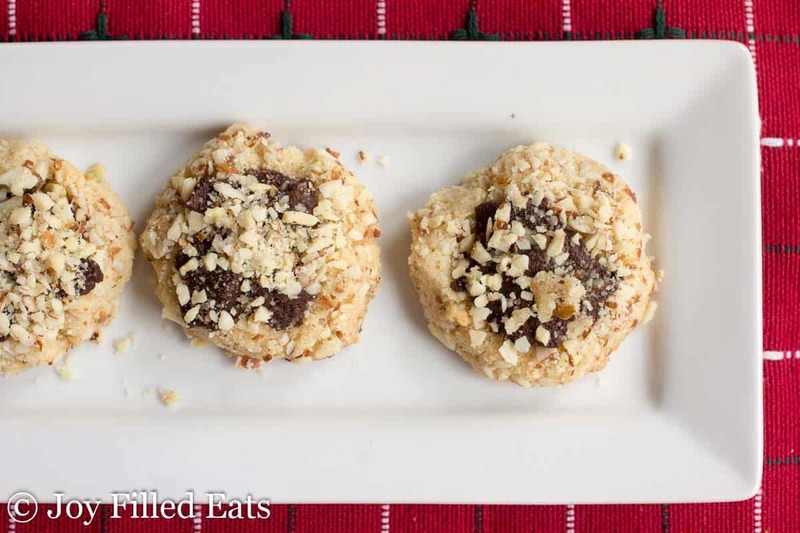 In case you missed recipe number one you can check out my Almond Crunch Chocolate Thumbprint Cookies here. I’ve been working on the perfect base cookie dough and I think I’ve perfected it. The dough for both of these recipes is very similar and I’m using it again in my Peppermint Fudge Sandwich Cookies coming this weekend. Feel free to experiment with it on your own by changing the flavor of the extract and the mix-ins. Next, combine all the dough ingredients in the food processor and pulse until a uniform dough forms. 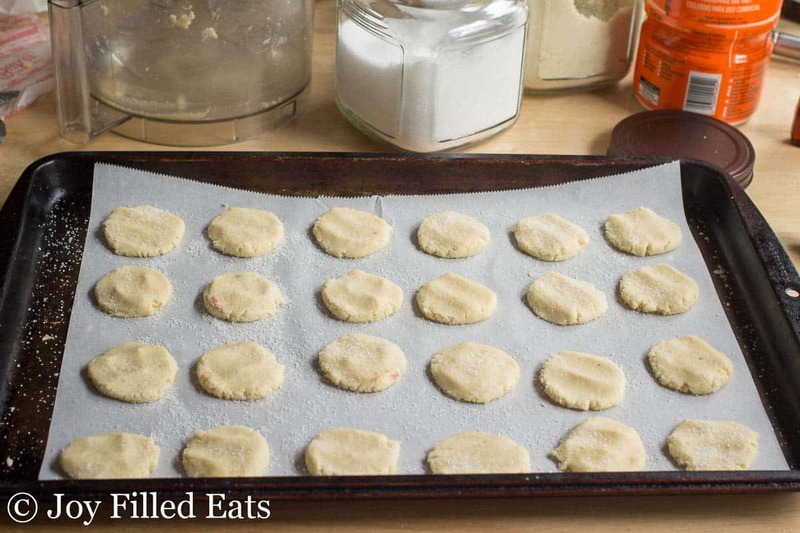 Divide into 24 balls and put on a parchment-lined baking sheet. Press down with your fingers. Sprinkle with a little more sweetener. Bake for 12-15 minutes or until lightly browned around the edges. Cool for at least 10 minutes. Combine the powdered sweetener with 1 tablespoon lemon juice in a small bowl. Stir until smooth. Add additional lemon juice if needed. Spread on the cooled cookies. Sprinkle on a little lemon zest. I made these today and the cookies turned out perfect! I had a little problem with the frosting. I used powdered swerve, and made it exactly per the recipe. I was able to frost two cookies before it turned in a hard mess. I added a little more lemon, and ended up adding hot water to try to get it pliable. I was able to salvage it, and the cookies, but they aren't pretty. : ) Has anyone else had this problem with Swerve? How much swerve did you use? If you doubled the amount (as I mention in my sweetener notes since it isn't as sweet) you would definitely need to add more liquid. I used 1 cup, and started with 2 T. lemon juice. I ended up adding a bunch of hot water and that helped a bit. I'll probably start with a smaller amount of Swerve and go from there. The cookies have been a huge hit! I shared some with my mom, she said I could bake those for her anytime. Thanks for a great recipe! Could you use fresh meter lemon juice in the dough instead of lemon extract? If so, how much would you recommend? Do you have any other Keto recipes that use fresh lemon juice? Thanks!! You can use fresh lemon juice. I'd try 2 tsp and add some zest into the dough too. I use fresh lemon juice in my Chicken Cordon Bleu Casserole. And you can make my Lime Curd with lemon instead. Hi, I was wondering how much lavender you would add to make a lemon and lavender cookie. The two go beautifully together...and would be divine with a cup of earl grey tea. I'd start with 2 tsp and then taste the dough. 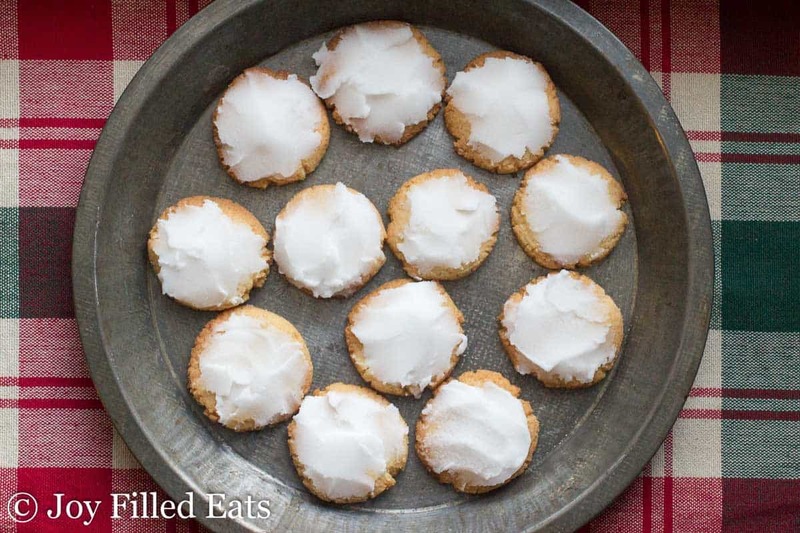 I've never made lavender cookies but I just looked up some recipes and most use 2-4 tsp.